(AFR) For most people in our society the Christmas season is a time of celebration, with holiday parties, and unleashed consumerism. For Orthodox Christians, however, the Advent Season is a time of fasting, prayer and ascetic struggle. Why? 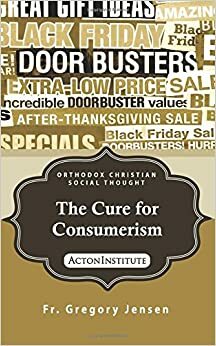 In this edition of Ancient Faith Today, host Kevin Allen discusses with Father Gregory Jensen, author of the book The Cure for Consumerism, the reason for the ascetic struggle for Orthodox Christians. ← What Is Our Authority For?